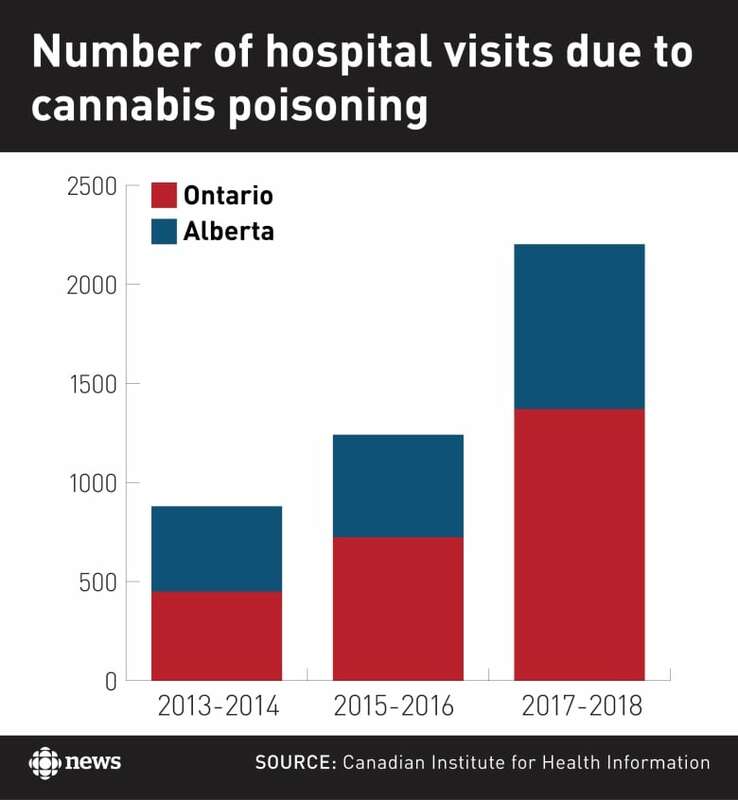 Emergency room visits related to cannabis overdoses have more than doubled in Alberta and almost tripled in Ontario over the past three years as health experts decry the lack of proper product labelling and messaging about the responsible use of cannabis products. It was early evening at a popular downtown Toronto jazz bar, the band playing for an older crowd more into Ella Fitzgerald than Rihanna's Umbrella. Part way through the set, a man in his late 50s stood and then promptly collapsed, face-first, onto the floor. The Rex's supervisor, Neil MacIntosh, watched in horror from behind the bar. "You see this scene and you're like, 'Oh God. OK, instantly 911,'" he said. MacIntosh assumed it was a stroke or a heart attack, but as paramedics arrived, he learned it was something quite different. "He had eaten a [cannabis] edible and just couldn't handle it," MacIntosh said. Cannabis overdoses are something he said he's personally witnessed at the bar three times in the past year. "That's just the tip of the iceberg," said Heather Hudson at the Ontario Poison Centre at SickKids children's hospital in Toronto, pointing to a rise in the number of cases involving children and cannabis. "We are certainly getting more calls about children who are being exposed unintentionally," she said. While the CIHI data doesn't break down what kind of cannabis the patients used, Toronto University Health Network emergency room physician Dr. Michael Szabo said edibles are a big factor in ER visits. "We're seeing a lot of people out there who are accidentally ingesting huge amounts of cannabis. They're not realizing that what they're taking, it is excessive," Dr. Szabo said. "Nothing's labelled properly. The serving size is not clearly marked so they're eating a whole brownie, not realizing they're only supposed to eat one-eighth of that brownie." Szabo said patients who have overdosed on cannabis often present as agitated, with rapid breathing, high heart rates and elevated blood pressure. "They have, often, symptoms like anxiety. It can progress to paranoia and actually frank psychosis, where they become detached from reality," Dr. Szabo said. Depending on the severity of the case, he said patients can spend up to 20 hours in the ER coming down from the unintentional high. He added that they are often exposed to unnecessary radiation from CT scans, because they initially show possible stroke symptoms. "It's a huge burden. They're occupying beds. They're occupying nursing time, physician time," Szabo said. Although Health Canada doesn't have plans to make edibles legal for another year, they are already widely available and Szabo said many consumers don't understand how they work. One problem is that people sometimes eat more of a cannabis product when they don't feel an immediate strong effect. "When you ingest something edible it's going to peak in two to four hours after you take it in," he said. "So you should not increase the amount that you're taking until the four-hour mark." Szabo said he looks forward to when cannabis edibles are legalized, because at least then there will be some clear regulation governing them. Until then, he said he expects to see more patients who have eaten one gummy too many clogging up the emergency room. Szabo blames a lack of public health messaging, and he's not alone. 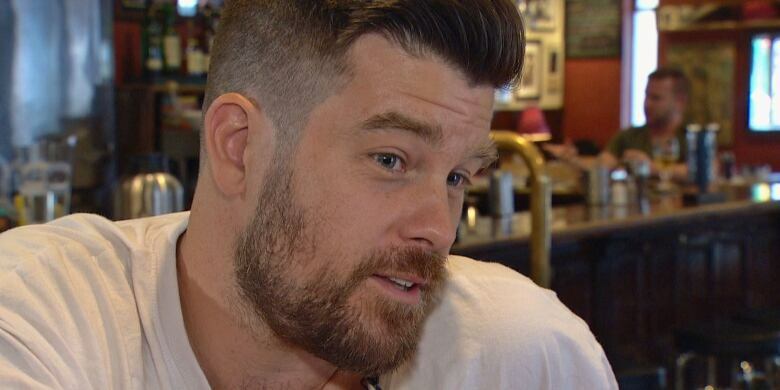 "I would have liked to have seen public health messaging starting as soon as the bill passed, if not sooner than that," said Ian Culbert of the Canadian Public Health Association. "We've known that this was coming — at the federal level the Liberals have a majority, we knew that it was going to pass," Culbert said. "That [public health] information should have started immediately." The Ontario ministry said, "We see public education efforts as critical in the lead up to the legalization," but did not provide any specific details about a plan, including how and when it might be delivered. Alberta Health Services said it will be launching a public awareness campaign aimed primarily at "our target audience of those aged about 25 years," with a focus on the health risks associated with cannabis. It gave no launch date. The B.C. government said it is "involved in cross-government efforts to identify key areas of focus for public education activities that will most effectively reach our most vulnerable populations." Manitoba officials told CBC News the province is working on a public education campaign that is expected to "touch on a number of areas, including health," adding that "the campaign is in the planning phases." Culbert is alarmed at the scarcity of harm-reduction messaging out there for consumers, especially when it comes to unregulated edibles. He fears the number of pot-related emergency room visits will go up even more after cannabis is legalized in October. "We know people want to use this product. We know that a quarter of 15- to 24-year-olds in Canada are currently using it in the illegal market. So it's really important that they have the information they need to make healthy choices," Culbert said. And, he added, it's not just younger users who need to be educated. "Cannabis is a very different product than it was 20, 30 years ago. So everybody needs a bit of a refresher on how do you consume the product and limit their consumption," Culbert said. While official public health messaging remains thin, some in the burgeoning cannabis industry are taking the responsibility upon themselves to educate people about the safe and responsible use of edibles. In her Toronto kitchen, chef Charlotte Langley uses a special machine to diffuse cannabis strains into fats and oils so she can control the dosing. She caters cannabis-themed events and helps people learn to cook safely with cannabis products. "I highly recommend starting light. There's no need to overindulge. It's meant to be gentle," said Langley, who started experimenting with cannabis menus in lieu of alcohol as a way to unwind. "I was looking for some alternatives to sort of relax, take off some of the pain from working as a chef. You know, I'm on my feet all the time, I'm running around carrying heavy things. It's a very demanding job," she said. A self-described wimp when it comes to drug use, Langley advocates "micro-dosing," working very small doses of cannabis into recipes. She also warns that people need to do their homework before cooking with cannabis. "When it comes to dosing, you really have to know where the strains are coming from, where they're being sourced, how they're grown, whether it's CBD or THC. [CBD] is the relaxing version, like a muscle-relaxing sort of anxiety relieving, versus the THC which is a bit more of a heady, higher-energy sort of scenario," Langley said. "Then ease your way into trying small quantities." 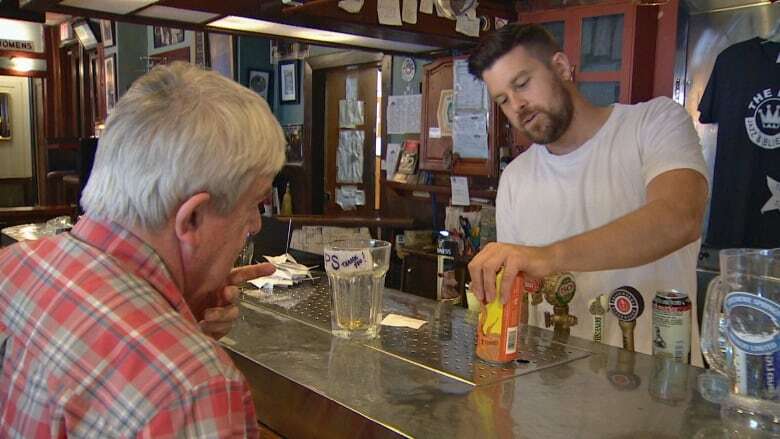 Back at The Rex bar, Neil MacIntosh is frustrated at both the lack of public education about cannabis, and of guidelines for the industry to safeguard against over-serving in a world where recreational pot will be legal and as commonplace as having a beer. Even with all the education around responsible drinking, alcohol is a significant factor in hospitalizations, sending about 77,000 Canadians for medical treatment in 2015-16, according to CIHI figures. Still, MacIntosh said he believes public health messaging around responsible drinking works, and it also helps servers reduce overuse. "I'd like to see a little bit of support from the agencies that tell us to manage alcohol and manage people's experience with substances. [I'd] like to see them reiterate that there is a responsibility of the patron to, you know, to take care of themselves," MacIntosh said. Smart Serve Ontario, the provincial program that trains restaurant and bar staff on responsible alcohol practices, told CBC News that servers will need to "re-align their thinking when it comes to the signs of intoxication once pot is legalized." It said it has been in talks with the Ontario government about its role in cannabis education. In the meantime, MacIntosh says he believes people are going to continue to learn the hard way, like the gentleman he watched pass out at the bar. "That's an eye opener for that guy, you know, he's probably going to think twice about it. I hope," MacIntosh said.